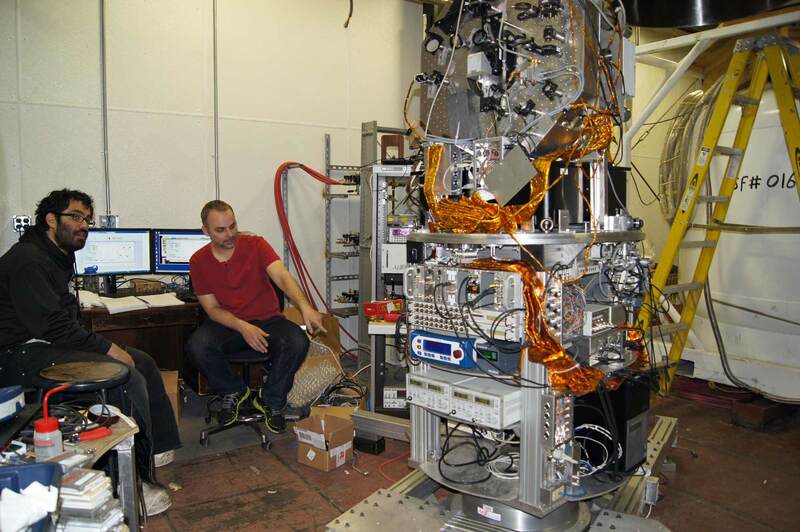 2013 w/o science tech Andrew Vernaza (left) and Princeton postdoc Marc Smiciklas discuss Marc's atomic spin sensor, which Andrew would be monitoring during the 2013 winter (EH). 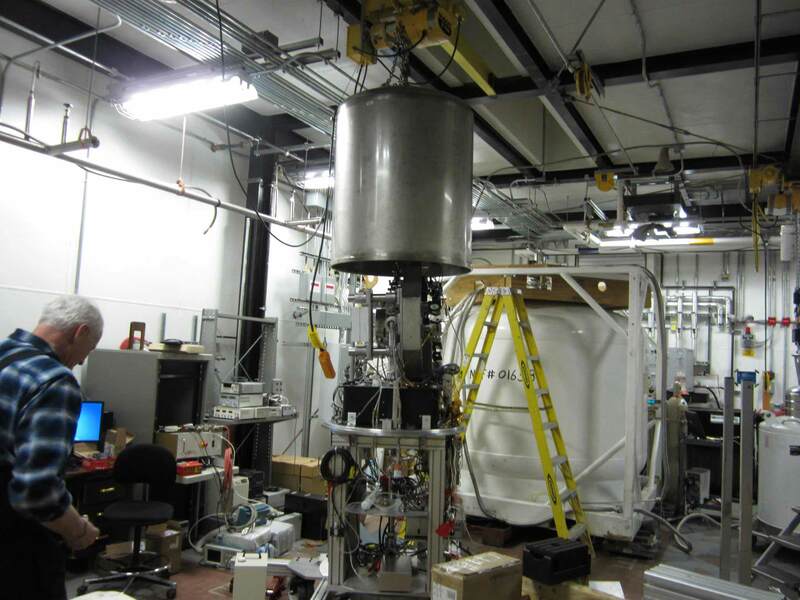 This new science experiment was being assembled in the erstwhile cryo lab (after all, there's no more need for liquid helium at Pole) in January 2013. 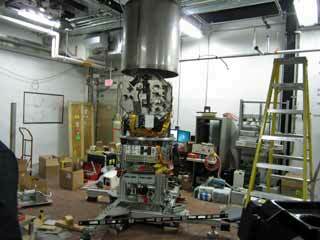 What you see here is a rotating co-magnetometer--an instrument to measure nuclear spin-precession. The project title is "Test of Lorentz Invariance at the South Pole." The measurement is an effort to unify aspects of the quantum field theory and the theory of general (vs special) relativity. As I'm not a physicist I'll defer to the following two abstracts for a description of what they're doing: a June 2012 APS meeting poster abstract , and the July 2012 NSF government funding award abstract for this project. The instrument was originally set up at Princeton...but the reason it was sent to Pole was to minimize the interference of the earth's rotation--at Pole, the earth rotation vector is parallel to the gravity vector. The team that put it together included physics professor Michael Romalis and postdoc Marc Smiciklas from Princeton. Below is Marc's YouTube video of the apparatus in operation in the lab at Princeton in March 2012. The team previously visited Pole for a site survey in 2006-07. The project was shut down and prepared for shipment back to Princeton in November 2014. Credits and thanks...(EH): Elaine Hood (USAP photo library), (JC): Joe Crane, and Marc Smiciklas.